Florida Water is called the most popular cologne in the world, but there are many other uses for this. The refreshing citrus scent and strong cleaning powers of Florida Water allow you to use it in a number of different ways. It is important that you know what the spiritual uses of Florida Water are and how this water can be incorporated into your life. Before you can look at the spiritual uses of Florida Water, you need to know what this is. Florida Water was first placed on the market in the United States in 1808. The base ingredients of Florida Water are alcohol and essential oils. The essential oils that are generally used in Florida Water include orange, lavender and lemon oil. Florida Water is said to have many different benefits for men and women. It is also seen as having strong spiritual properties which make it common in Wicca, Hoodoo, Santeria, and Voodoo. Florida Water is often used as a ritual offering and during purification rituals. There are also many people who will replace Holy Water with Florida Water in their rituals. The floral and citrus scents of the water also make it stimulating for use in rituals. Florida Water is often used for the spiritual cleansing of items which are placed on the altar during rituals. The water is used to remove negative energy from the item and open them to the energies of the spirits and ancestors. If you are going to be using Florida Water for this purpose, you need to be careful when wiping down candles. You will need to ensure that the candles are completely dry before you try lighting them because of the alcohol content in Florida Water. If you are going to be seeking the guidance of your ancestors or spirits, Florida Water will be able to clear the air. Placing a glass of this water on the altar before you start will help to clear the air of interference and static in the air. This will ensure that you are able to get a clear reading and guidance from the spirits. 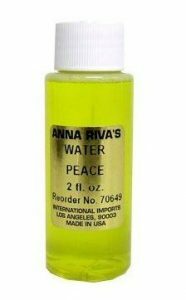 Florida Water can also be used as the base for a cleaning and blessing building wash. To create this wash, you will need to mix rue and basil into the Florida Water. The mixture can then be used to anoint the floor, doorways, and windows of the home for protection, luck, and prosperity. If you face obstacles in your current relationship, you can also use Florida Water to help you. You will need to add a few drops of the water to a bowl and set this beside your bed. You will then need to light a red attraction candle while thinking about your intended goal. This ritual can also be used to attract love, but you need to be careful with the water close to the flame because of the alcohol in the water. Florida Water has been around since the 1800’s and been used for many different things. 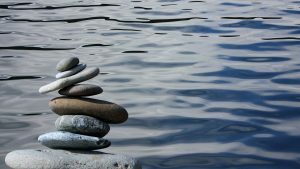 There are many spiritual uses of Florida Water that you can look into and incorporate into your life.